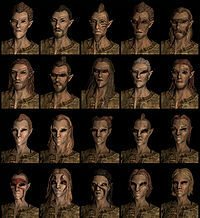 Resist FatigueCC (FormID FE00088f: Your Bosmer blood gives you 25% resistance to fatigue. In combat, Bosmer may be taunted with "Should have stayed in your precious forests, Elf!" This page was last modified on 3 June 2018, at 13:07.